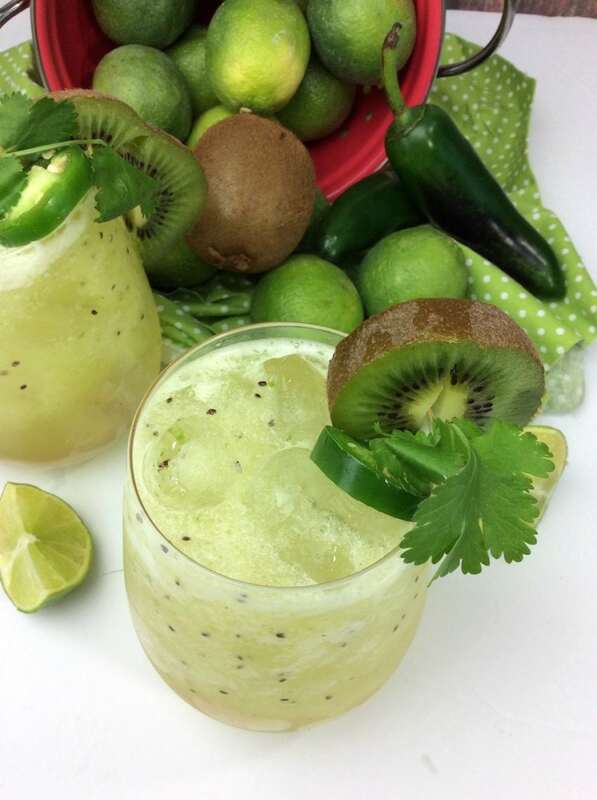 This recipe for Kiwi Jalapeño Margaritas sounds a bit healthy right? I mean… it has fruits and vegetables in it. LOL! Forget about everything else. Let’s just relish in the fact that we are working through our nutritional requirements for the day. Here’s everything you need to enjoy this frozen treat. 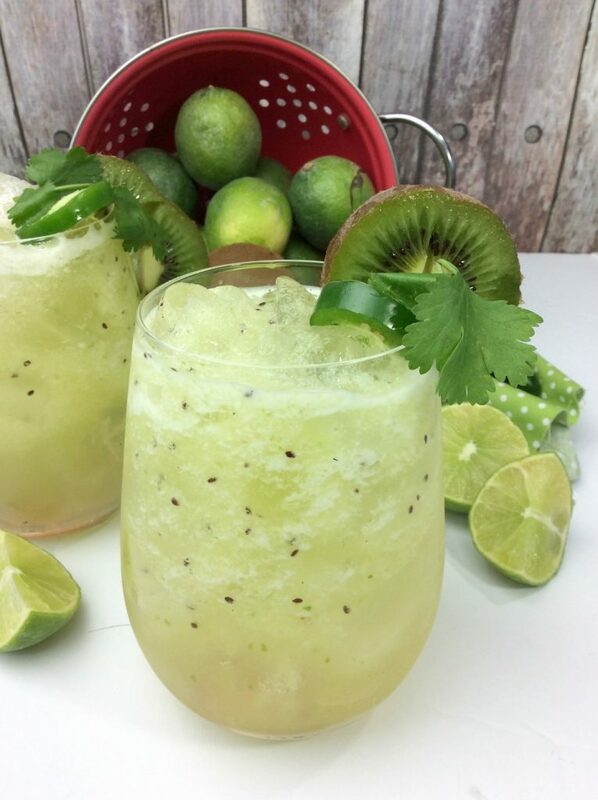 Take your kiwi, jalapeños and sweet and sour mix and place in a blender and puree. In a large bar shaker add 2-3 pieces of ice, tequila, triple sec and shake to combine. Now add your kiwi mix and liquor mix into your glass.